Geopolitics as a cornerstone of the modern world: the guiding principle behind the Grenoble Geopolitics Festival since its start in 2009. Grenoble Ecole de Management (GEM) opens its doors once again to welcome the 6th edition of this festival. 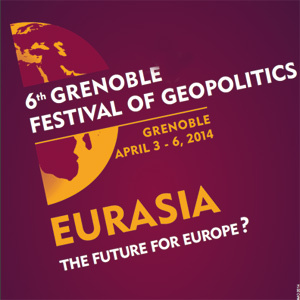 The Theme: Eurasia as the future of Europe? Current events in Ukraine and Russia place this theme at the heart of an ongoing international debate. With over 100 special guests invited to the festival, come dissect and understand the European position on this issue. From Vladimir Putin's Eurasian vision through Ukraine's multiple identities to the United States's opposition, how to find a balanced solution? To participate and learn more, join us for the festival at GEM from April 3rd to April 6th.